Mark Zuckerberg. Image courtesy of Flickr. 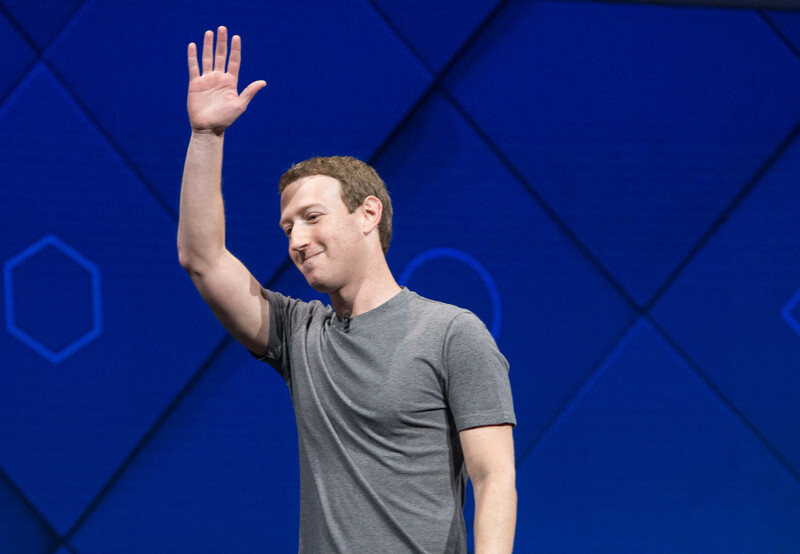 Over the past year, Mark Zuckerberg has been touring all 50 states. He’s visited military bases, milked cows and dropped in for dinner with regular folks. As some media outlets have pointed out, this makes the Facebook founder look like someone who’d like to be called Mr. President someday. But he’s recently been tagged with another, less-flattering label: Dr. Frankenstein. In something of a modern day myth, Zuckerberg has unleashed forces upon the world beyond his—or his company’s—control. Last week, ProPublica reported that Facebook allowed advertisers to direct pitches to the news feeds of people who were interested in topics like “Jew hater,” among other disgusting terms—which, according to the investigative reporting, weren’t created by people, but by algorithms. “We never intended or anticipated this functionality being used this way — and that is on us,” Facebook chief operating officer Sheryl Sandberg wrote in a statement about the incident. To Kevin Roose at the New York Times, that admission smacked of Gothic horror: the social network had released forces upon the world it knew not how to control. Similarly, the company maintained up until last April that it had no evidence of Russian advertising meddling with the 2016 presidential election, and in the immediate aftermath of the election, Zuckerberg said it was a “pretty crazy idea” that fake news on the platform had anything to do with the outcome. Last January, Slate’s Jacob Brogan dug into why Mary Shelley’s novel is still so relevant two hundred years after it was published. It’s something of a fable for how unwieldy and unpredictable innovation can be, with Facebook as a contemporary enactment of that trope: “Mark Zuckerberg, who’s sometimes been known to disavow the power of his own platform, might well be understood as a Frankensteinian figure, amplifying his creation’s monstrosity by neglecting its practical needs,” he wrote. But the social platform has turned into something even more frightening than an amalgam corpse wandering around the Alps. The 1818 book’s full title is Frankenstein; or, The Modern Prometheus. In the Greek myth, Prometheus stole fire from Mt. Olympus and gave it to mankind, tilting the balance of the universe; the good Dr. Frankenstein, possessed by the spirit of invention, brought a being into the world that outgrew his influence, to say the least. Facebook may shut down a million user accounts every day for violating community standards, but that’s not that large of a number given the platform’s mind-bending scale. Literally a quarter of the human population uses the social network every month. It’s allegedly been connected to a devastatingly broad range of human events, from genocide in Myanmar to human trafficking in Africa to what’s now becoming the flashpoint of all this—the reported Russian ad buys before the 2016 presidential election. And yet Facebook, the organization populated by human beings, can only have so much knowledge of what’s happening within Facebook, the software product. That’s the frightening irony here: while Facebook seems to be out of its makers’ control, it is in control of so much of so many people’s lives. (Just look at how Facebook has restructured the media industry.) BuzzFeed’s Charlie Warzel argues that while the company is increasingly described as some sort of totalitarian, information-hoarding super state, it’s more like the United Nations, an international group with “the almost impossible responsibility” of getting nations, groups and individuals across the world to get along and not do terrible things to each other. This is where metaphors mix and awake a kind of existential dread: Facebook is Frankenstein’s monster, with strength and will beyond its creators control. It’s also the fire of Prometheus, giving the common people new power. It’s also the United Nations, but instead of referendums and delegates positioning for influence you’ve got algorithms and engineers maximizing for engagement. The reach of Facebook has far outpaced what it can effectively police. Facebook is a tech company trying to turn a profit, Roose notes, not an an intelligence agency or diplomatic corps. And the dramas befalling the company don’t require an active will from inside. “It’s not as if a Facebook engineer in Menlo Park personally greenlighted Russian propaganda,” he notes. Rather, those are opportunities that get exploited within algorithms that are shaped by—and seek to drive engagement with—Facebook’s extensive user base. Elon Musk and other luminaries worry publicly that artificial intelligence will one day run the world. But maybe it already does.